There are many technologies that are transforming healthcare. Some of these are artificial intelligence (AI), 3D printing, nanotechnology, robotics, and virtual/augmented reality (VR/AR). There are many myths surrounding technology and health. 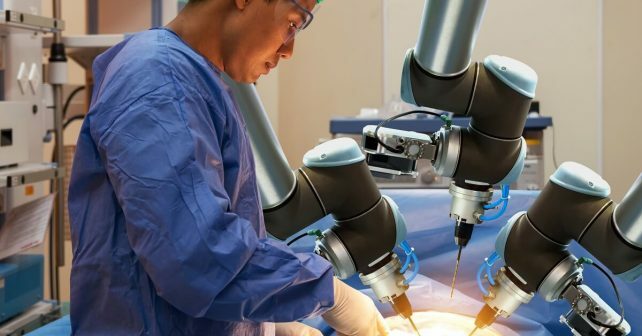 Some are that robots will take over all the jobs of healthcare professionals or artificial intelligence will rule the world or that we will live in dream world made of computer chips. These are extreme fantasies of a dystopian world and used to boost fear of the future. The best way to reduce this fear is to embrace technology in all of its forms and to stay open-minded. Whether or not you are informed or open-minded technology is growing and the world will change. 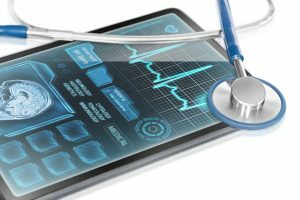 So, this article will give you a couple of technologies, how they are transforming the healthcare field, and the benefits to your health. Virtual Reality can add many benefits to the healthcare field. Mind-blowing technologies assist surgeons and their team by simulating surgeries. Medical students can practice without actually risking lives. And you? You can travel to your home or another country while lying in a hospital bed. A company called Embodied Labs created “We Are Alfred”. This simulates the experiences of a 70-year-old man with audio-visual difficulties. It creates an empathetic bond between elderly patients and young physicians so that there is more understanding and better care. Virtual reality can also be used to explain conditions, the internal workings of illness, and for more precise surgeries by viewing the body before putting scalpel to skin. Artificial intelligence can be used to search through medical records and design treatment plans much faster. By searching for each and every patient’s medical records, at an extremely fast speed, this leaves a lot of time and preparation for physicians to better prepare for their patients. Nurses will be less stressed because of less paperwork to do. There will be fewer mistakes in prescriptions because the data will be right at the hand of the physician. Artificial intelligence can also be great for autism. Adults and children with autism can interact with this artificial intelligence and it will always be patient, kind, and understanding. They can practice social skills such as turn-taking, eye contact, and facial reading with this AI that has all the time and patience to support their needs. AI can also be used to help predict which drugs will be successful against a disease. Recently, Atomwise, used computers to discover two possible drugs that will fight the contagiousness of Ebola. This technology involves augmenting reality by overlaying digital images over it. It can introduce new information as quickly as possible to keep users up-to-date on any changes or needed information. Beacon Health Physicians mapped out tumors or other illnesses before actually using a scalpel. Augmented reality can help you describe your symptoms more accurately and increase the number of innovative drugs and information pharmaceutical companies can offer you. If you’ve heard of Pokemon Go, you’ll know what augmented reality looks like. This fun game set the foundation for a new means to preview your home’s furniture or layout before buying, read to your children from another country, and assist with grief. Currently, there is a chatbot that can be used to gather a deceased person’s digital archive, such as emails, texts, snapchats, and tweets and simulate that person’s voice and personality. This chatbot is called “augmented eternity” and was created by Hossein Rahnama, who works at Ryerson University and the MIT Media Lab. According to Rahnama, it will take 50 to 60 years for current millennials to acquire zettabytes, or 1 trillion gigabytes, of data to place their consciousness in a chatbot and “live” forever. Wearables are devices that are worn on the body to track stats such as heartbeat, productivity, and other healthcare needs. They can be used to help you monitor, prevent, and increase care of illnesses. You can learn a lot about your body through wearables, trackers, and sensors. These give real-time updates on your internal system and can help you get diagnosed before an illness becomes more serious. Eventually, these devices will be able to administer medication, for instance, if you are diabetic these devices can secrete insulin at the exact time you need it. Other things that wearables, trackers, and sensors can target are stress, weight, improved cognitive function, and energy. Available now are Fitbit Surge (fitness), Pebble Time and Sleep as Android (sleep tracking) and the Muse headband for meditation. introduced on Star Trek, this device was called a medical tricorder. Physicians used it to scan patients and were immediately given vital signs, a diagnosis, and other parameters. At the moment, this is a science fiction fantasy, but with the emerging technology, this can become a reality. Eventually, with technology moving at the pace it is, you will see high-power microscopes that come standard with smartphones, sensors that can discover DNA mutations or find antibodies and proteins. In the future, many of the things that we now have will come standard in smartphones so you can easily update and keep track of your medical records. These tiny particles and devices will probably act as extremely precise delivery systems, surgeons, and for cancer treatment. 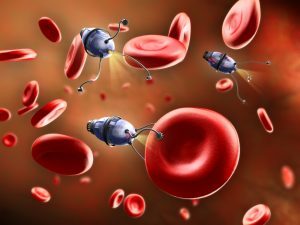 With the ability to get into any area of the body using nanotechnology, surgeons and physicians can more closely target illnesses and reduce injury and recovery time. Micro-sized robots are being researched by the teams from the Max Planck Institute. These tiny robots that are smaller than a millimeter can swim through your bodily fluids. They swim through non-Newtonian fluids that may be present around your lymphatic system, bloodstream, and within the wetness of your eyeball With these tiny robots, medical relief, drugs, and procedures can be delivered exactly where they are needed to give the most relief. Technology is a magnificent force that will change the landscape of the healthcare field. With all of these emerging technologies, your illnesses will be handled faster than you ever thought possible.